INDICATIONS: Hyoscine is a tertiary amine antimuscarinic agent with central and peripheral actions. It is a more powerful suppressant of salivation than atropine,and usually slows rather than increases heart rate, especially in low doses.Its central action differs from that of atropine in that it depresses the cerebral cortex and produces drowsiness and amnesia. Hyoscine butylbromide is quaternary ammonium derivatives. Hyoscine is effective in the prevention and control of motion sickness and has also been given as an antiemetic in the prophylactic treatment of other forms of nausea. 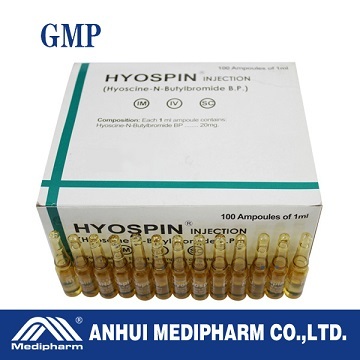 Hyoscine is also given to prevent motion sickness via a transdermal delivery system. ADVERSE EFFECTS AND PRECAUTIONS: In contrast to atropine, hyoscine produces central depression at therapeutic doses and symptoms include drowsiness and fatigue.Toxic doses of hyoscine produce stimulation of the CMS in a similar manner to atropine. However, hyoscine does not stimulate the medullary centres and therefore does not produce the increases in respiration rate or blood pressure seen with atropine. Hyoscine may produce CNS stimulation rather than depression at therapeutic doses if used in the presence of pain without opioid analgesics; symptoms include excitement, restlessness, hallucinations, or delirium. Hyoscine should not be used concurrently with CNS depressants. Caution has been advised in elderly patients and in patients with impaired metabolic, liver, or kidney function, as adverse CNS effects have been stated to be more likely in these patients. There have been rare reports of an increase in frequency of seizures in epileptic paticnts. The quaternary derivatives, such as the butylbromide do not readily cross the blood-brain barrier,so central effects are rare. STORAGE INSTRACTION: Store below 25℃. Protect from moisture. Keep out of reach of children.